Our teams accompanies you to create a simple and intuitive online shop. For a site easy ecommerce has to administer contact us. Your e-commerce retail website will emphasize your products and services of a responsive way for a visibility optimum on the mobile screens. With our tools (CMS: wordpress - prestashop - Wixstores - emonsite) we propose you simple solutions to create, administer and make live your on-line retail website e business. 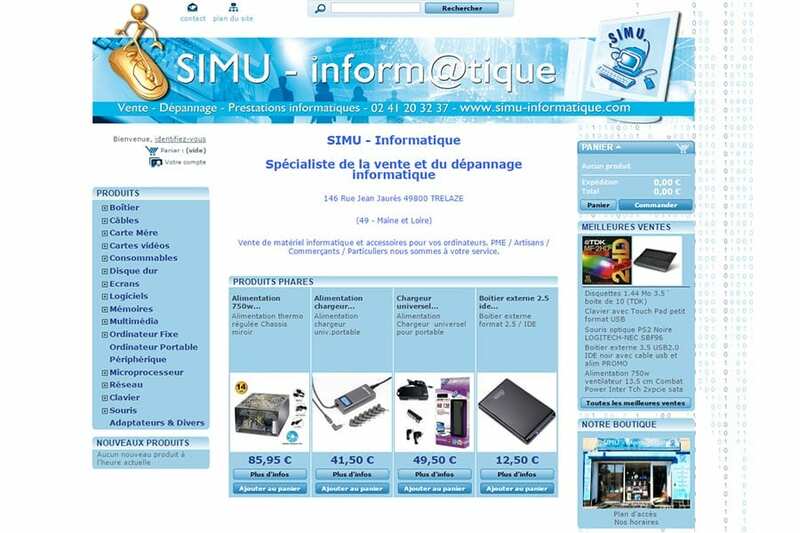 Through the graphic design & responsive design, the reservation of the domain name, the hosting, the referencing (SEO / SEM), the webmarketing, the management of your boxes e-mails and the analysis of the traffic (google analytics) on your retail website, Desjeux Créations offers you a complete service for the creation of your e-commerce site. Our agency is approved for the training on these tools for a handling of your simple and effective e-commerce site and a financial coverage by your OPCA.